Our beautiful, beloved mother, grandmother, and great-grandmother, Dorothy Teresa Diel, 89, passed away peacefully of natural causes on February 9, 2019. Family members were visiting and comforting Mom during her brief stay at Freedom Plaza Care Center in Peoria, Arizona. Dorothy was born on April 11, 1929, in Pittsburgh, PA, to Franciscus and Maria Kutcher (Kocur), the ninth of ten children. She spent her happy youth in Pittsburgh with her large Catholic family and graduated from Mount Assisi Academy, an all-girls Catholic high school. Mom had a superior memory and could recall the smallest details of her childhood. It was love at first sight when Dorothy met her future husband, Bill, at a school dance in Pittsburgh in 1948. They married in August of 1951, and Dorothy became a devoted United States Air Force spouse. Together, they raised four sons while relocating periodically to Dad’s next duty assignment. The most memorable to Mom were the two years living in Tainan, Taiwan. After 26 years of military life, Mom and Dad made Arizona their permanent home in 1976. They shared 60 wonderful years of marriage together before Dad passed away in 2011. Her active life, faith in God, and her strong will and character enabled her to live in the home she loved until she could no longer continue without assistance. Dorothy embodied contentment, fully enjoying the simple things in life. She was a Pittsburgh Pirates baseball fan, but happily adopted the Arizona Diamondbacks as “her team.” Her greatest joy came when we all were able to get together. She was generous in all ways, but particularly with her heart. She and Dad supported numerous charities throughout their life together, especially our military veterans and children in need. She will be greatly missed by all whose lives she touched. May she rest in peace. Dorothy was preceded in death by her husband, Bill; four sisters, Anne Jackson, Margaret Zapf, Mary Schutte, and Janet McGurgan; and five brothers, Frank, Joe, Tony, John, and George. 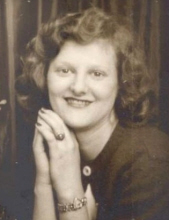 She is survived by four sons, William R. (Mary), Michael, Thomas, and Timothy (Annette Vigil); grandchildren, Acacia Mcclary (Matt), Candace Gallagher (Trevor), Stephen (Danielle Larson), William H., Erin Augustin (Spencer); and great-grandchildren, L.J., Miriam, Juliet, Kylan, Kayden, and Kinsley; and a host of other family and friends that loved her unconditionally. Dorothy will be laid to rest next to her beloved husband at the National Memorial Cemetery of Arizona 23029 N Cave Creek Rd, Phoenix Az 85024 on Wednesday, February 20, 2019. A memorial mass will be held at later date at St Raphael’s Catholic Church. Memorial contributions may be made in Dorothy’s name to the charity of choice. To send flowers or a remembrance gift to the family of Dorothy Teresa Diel, please visit our Tribute Store. "Email Address" would like to share the life celebration of Dorothy Teresa Diel. Click on the "link" to go to share a favorite memory or leave a condolence message for the family.